Precise and reliable, the Johnson 40-0922 Manual-Leveling Rotary Laser is manual-leveling in both horizontal and vertical planes. 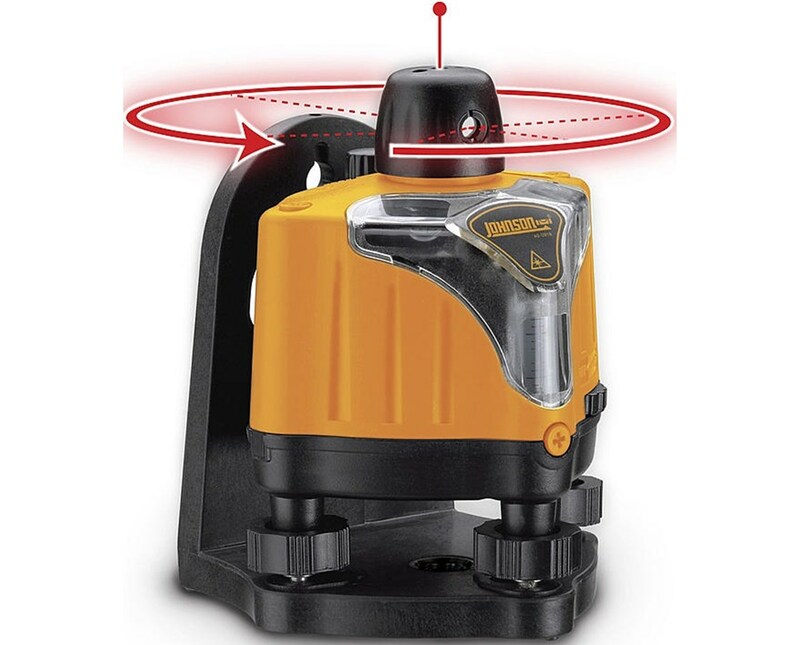 With an accuracy of ±1/4 inch at 100 feet, this rotary laser is great for hanging pictures, installing cabinets and shelving, and light duty on construction site for carpenters and electricians. 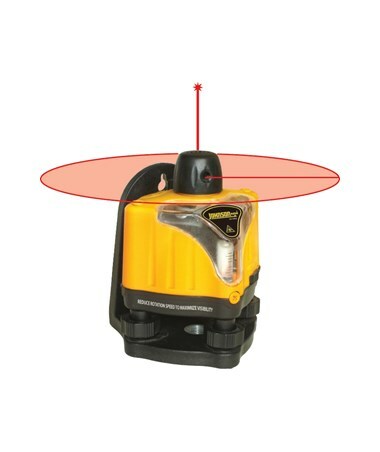 It features an interior range of up to 200 feet and exterior range up to 800 feet with a laser receiver. This Johnson Level laser features a simultaneous 90-degree split beam in vertical mode and has a rotational speed of 0 and 600 rotations per minute. It features illuminated vials and Class 3A red laser for easy reading in all conditions. For an easy leveling operating, it includes a multi-functional base and mounting bracket. With an IP43 rating, this rotary laser is protected from dust and falling water. It uses alkaline batteries that can operate up to 25 hours of continuous use. 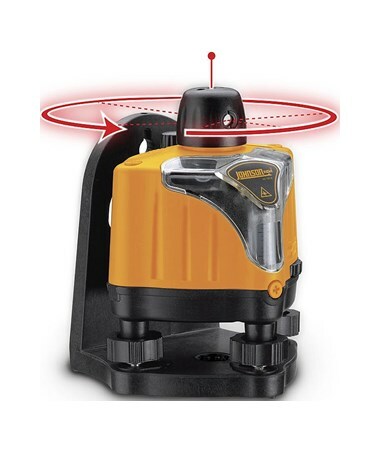 As an extra feature, this rotary laser level comes with a 5/8-11 tripod thread that is compatible with most tripod brands. Dimensions 4.75" x 4.75" x 6.125"